This key Bible teaching shows that the modern revival of Israel is central to God’s purpose with the nations of the world. 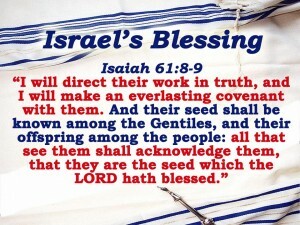 The following selection of Bible verses, to which many more can be added, is based on the six aspects of Israel’s National Restoration noted in the book “The Rebirth of the State of Israel – Is it of God or of Men?” by Arthur W Kac. His book was published in 1958 – just 10 years after Israel became independent. The return of Jews to Israel has continued; so that now, at more than 6 million, the Jewish population is about ten times its size in 1948. If you want to know that God is behind Israel’s restoration, see how many times God says, “I will”, in Ezekiel chapters 36 to 39. “And the ransomed of the LORD shall return, and come to Zion with songs and everlasting joy upon their heads: they shall obtain joy and gladness, and sorrow and sighing shall flee away” (Isaiah 35:10). “Thus says the Lord GOD, When I shall have gathered the house of Israel from the people among whom they are scattered, and shall be sanctified in them in the sight of the heathen, then shall they dwell in their land that I have given to my servant Jacob” (Ezekiel 28:25). 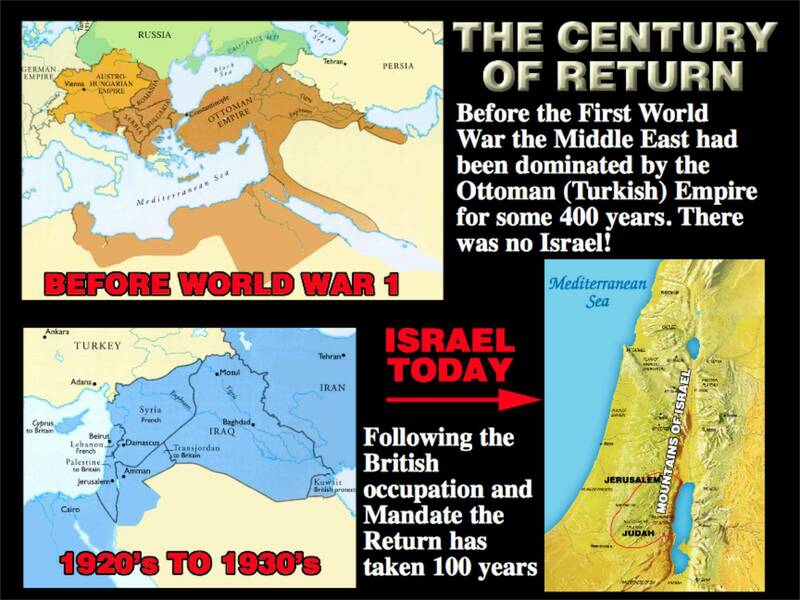 “And I will bring again the captivity of my people of Israel, and they shall build the waste cities, and inhabit them; and they shall plant vineyards, and drink the wine thereof; they shall also make gardens, and eat the fruit of them” (Amos 9:14). 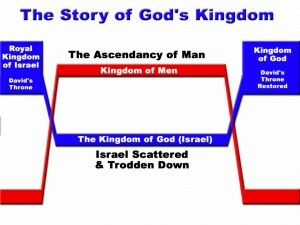 “And Jesus said unto them, Verily I say unto you, That you which have followed me, in the regeneration when the Son of man shall sit in the throne of his glory, you also shall sit upon twelve thrones, judging the twelve tribes of Israel” (Matthew 19:28). “And they shall call them, The holy people, The redeemed of the LORD” (Isaiah 62:12). 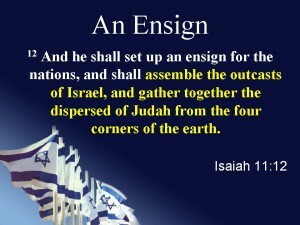 “But this shall be the covenant that I will make with the house of Israel: After those days, says the LORD, I will put my law in their inward parts, and write it in their hearts; and will be their God, and they shall be my people. And they shall teach no more every man his neighbour, and every man his brother, saying, Know the LORD: for they shall all know me, from the least of them unto the greatest of them, says the LORD; for I will forgive their iniquity, and I will remember their sin no more” (Jeremiah 31:33-34: Hebrews 8: 10-12). “A new heart also will I give you, and a new spirit will I put within you: and I will take away the stony heart out of your flesh, and I will give you a heart of flesh. And I will put my spirit within you, and cause you to walk in my statutes, and you shall keep my judgments, and do them” (Ezekiel 36:26:27). “ Thus says the LORD of hosts; Behold, I will save my people from the east country, and from the west country; and I will bring them, and they shall dwell in the midst of Jerusalem: and they shall be my people, and I will be their God, in truth and in righteousness” (Zechariah 8:7-8). “And so all Israel shall be saved: as it is written, There shall come out of Zion the Deliverer, and shall turn away ungodliness from Jacob: for this is my covenant unto them, when I shall take away their sins” (Romans 11:26-27). “Thy people also shall be all righteous: they shall inherit the land forever, the branch of my planting, the work of my hands, that I may be glorified” (Isaiah 60:21). “And I will make an everlasting covenant with them, that I will not turn away from them, to do them good; but I will put my fear in their hearts, that they shall not depart from me” (Jeremiah 32:40). “Then shall they know that I am the LORD their God, which caused them to be led into captivity among the heathen: but I have gathered them unto their own land, and have left none of them any more there” (Ezekiel 39:28). “And I will plant them upon their land, and they shall no more be pulled up out of their land which I have given them, says the LORD thy God” (Amos 9:15). “ The LORD has taken away your judgments, he has cast out your enemy: the king of Israel, even the LORD, is in the midst of you: you shall not see evil any more” (Zephaniah 3:15). “Behold, the days come, says the LORD, that I will raise unto David a righteous Branch, and a King shall reign and prosper, and shall execute judgment and justice in the earth. In his days Judah shall be saved, and Israel shall dwell safely: and this is his name whereby he shall be called, THE LORD OUR RIGHTEOUSNESS” (Jeremiah 23:5-6). “And, behold, you shall conceive in thy womb, and bring forth a son, and shall call his name JESUS. He shall be great, and shall be called the Son of the Highest: and the Lord God shall give unto him the throne of his father David: and he shall reign over the house of Jacob forever; and of his kingdom there shall be no end” (Luke 1:31-33). “For it is the day of the LORD’s vengeance, and the year of recompenses for the controversy of Zion” (Isaiah 34:8). “And I will set my glory among the heathen, and all the heathen shall see my judgment that I have executed, and my hand that I have laid upon them” (Ezekiel 39:21). “Behold, I will make Jerusalem a cup of trembling unto all the people round about, when they shall be in the siege both against Judah and against Jerusalem. And in that day will I make Jerusalem a burdensome stone for all people: all that burden themselves with it shall be cut in pieces, though all the people of the earth be gathered together against it” (Zechariah 12:2-3). “And the nations were angry, and thy wrath is come, and the time of the dead, that they should be judged, and that thou should give reward unto thy servants the prophets, and to the saints, and them that fear thy name, small and great; and should destroy them which destroy the earth” (Revelation 11:18). “And it shall come to pass in the last days, that the mountain of the LORD’s house shall be established in the top of the mountains, and shall be exalted above the hills; and all nations shall flow unto it. And many people shall go and say, Come ye, and let us go up to the mountain of the LORD, to the house of the God of Jacob; and he will teach us of his ways, and we will walk in his paths: for out of Zion shall go forth the law, and the word of the LORD from Jerusalem. 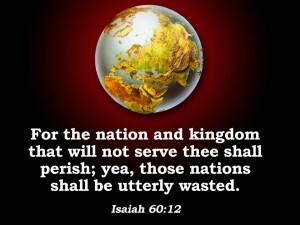 And he shall judge among the nations, and shall rebuke many people: and they shall beat their swords into plowshares, and their spears into pruning hooks: nation shall not lift up sword against nation, neither shall they learn war any more” (Isaiah 2:2-4). “And it shall come to pass, that from one new moon to another, and from one sabbath to another, shall all flesh come to worship before me, says the LORD” (Isaiah 66:23). 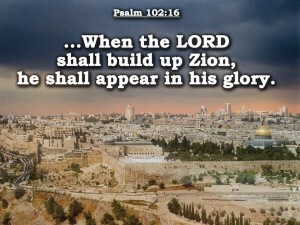 “Yea, many people and strong nations shall come to seek the LORD of hosts in Jerusalem, and to pray before the LORD. 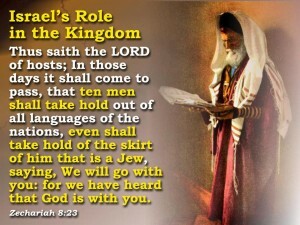 Thus says the LORD of hosts; In those days it shall come to pass, that ten men shall take hold out of all languages of the nations, even shall take hold of the skirt of him that is a Jew, saying, We will go with you: for we have heard that God is with you” (Zechariah 8:22-23). “ After this I will return, and will build again the tabernacle of David, which is fallen down; and I will build again the ruins thereof, and I will set it up: that the residue of men might seek after the Lord, and all the Gentiles, upon whom my name is called, says the Lord, who does all these things” (Acts 15:16-17).